TONIGHT!!! It’s finally here! A Night for Green Beauty! Tonight marks the first ever gathering of green beauty product creators, fans, and those who are open to knowing more, just in time to kick off NYC’s Fashion Week. Hurrah! This one-of-a-kind green beauty pop-up hosted by La Bella Figura is taking place tonight, September 4th, from 5-9pm, at the James Corbett Studio, and will cost you nothing, but promises to be extremely rewarding. Plus, I’ll be there introducing you to your new favorite lip color. 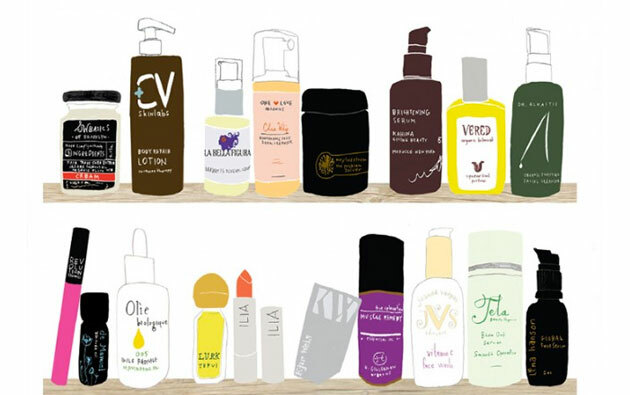 Dr. Alkaitis, Lina Hanson, Olie Biologique, SW Basics of Brooklyn, Joanna Vargas Skincare, Hope Gillerman, Annee DeMamiel, Lurk Perfumes, Tela Organics, One Love Organics, Vered Botanicals, CV Skinlabs, Revolution Organics, Ilia Beauty, Kjaer Weis, May Lindstrom Skin, Kahina Giving Beauty, and La Bella Figura. Some of the evening’s proceeds will be donated to a NYC non-profit called Hair2Help, (thank you James, Corbett!) which offers free beauty and wellness services to cancer patients and their caregivers.